Following on from my previous post of yesterday, Mark and I were feeling pretty shattered after our flights so we had a sleep for an hour or so with the alarm set for six pm. We then headed out to have a look at the Eiffel tower but a closed metro line derailed our plans (please excuse the pun) and we ended up at the Arch de Triomph. After a wander around we decided that the queue was not too bad so we headed for the top. Well I took the lift and won’t pretend otherwise, my knees were pretty sore and still have to last the best of three weeks. The view from the top is pretty amazing. Multiple metro rides got us back near our hotel, by which point we were desperately in need of a beer. Two pints of Belgian Leffe with out dinner slid down pretty well. 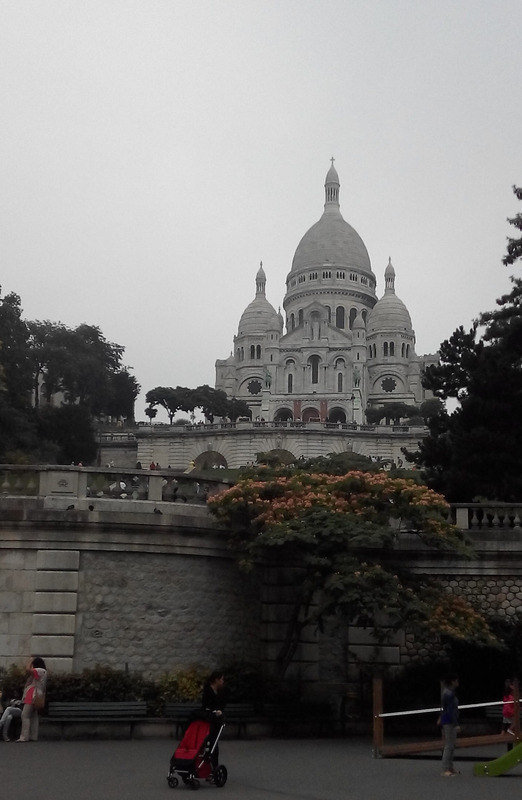 This morning, after a mixed sleep Mark walked to Montmartre while I took the metro. We arrived at the nice park (with the merry go round) below the Sacre Coeur (pic above) simultaneously. It was great to be in the area again but this time I took the cable car up the hill. A photo or two were taken before we had a wander, and another sit down inside the church. 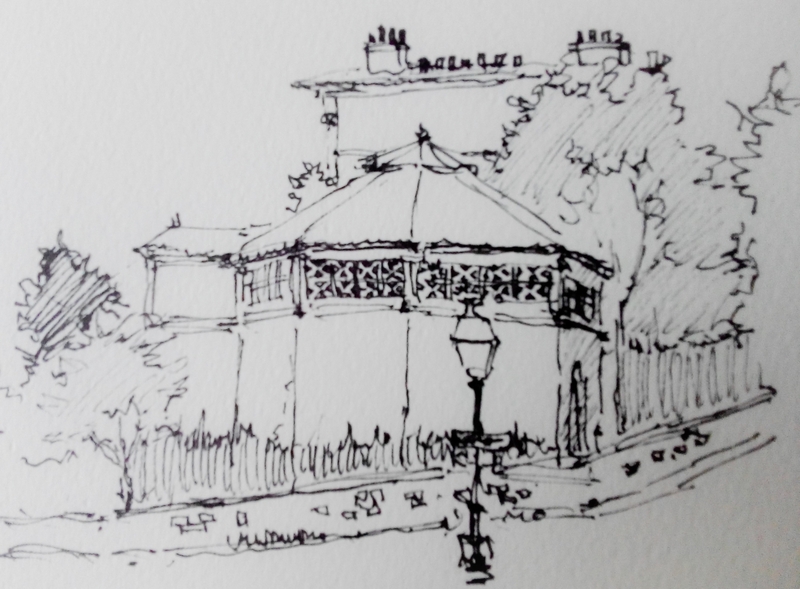 Next up was a coffee near the Place de Teatre and a quick sketch followed by a wander (read hobble) down hill past the Moulin de Galette. We caught the train to the Pompidou centre from outside the Moulin Rouge. A quick lunch was followed by a look around the Museum of Modern Art which really is a great gallery. The highlight for me was perhaps a couple of works by Paul Klee or maybe some of the sculpture. Or maybe the highlight was our being shut in the gallery for a while as a result of a security scare. There were uniformed guards marching around and we were trapped behind fire doors for some time. I staggered back to the hotel by train, while Mark walked again and we are currently relaxing and recuperating. Whether I manage anything more than a brief wander out for tea tonight is undecided at present.